Diabetes is a condition that impacts your body’s ability to control blood glucose levels. If you have Type I diabetes, your body doesn’t produce enough insulin, which transports sugar from your blood to the body’s cells. If you have Type II diabetes, your body doesn’t respond to insulin as it should. In both cases, you’re more likely to have problems with your oral health. How Does Diabetes Impact Your Oral Health? Diabetes impacts your dental health in many ways. Patients with diabetes often experience dry mouth, where there’s less saliva than usual. Saliva serves an important function, helping to wash away food particles and acids. If you don’t have enough saliva, these particles may settle in the mouth, leading to tooth decay. This is why patients with diabetes have a higher risk of developing cavities. Dry mouth is also linked to ulcers, infections, and soreness in the mouth. Diabetes can slow the healing process from wounds, so those who have dental surgery may struggle with a slower recovery time. These patients are also more susceptible to infections. Proper care and treatment will help you avoid or minimize these risks. Is There a Connection Between Gum Disease and Diabetes? Patients with diabetes have a higher risk of developing gum disease. Both early gum disease, known as gingivitis, and serious gum disease known as periodontitis are more likely in diabetes patients. 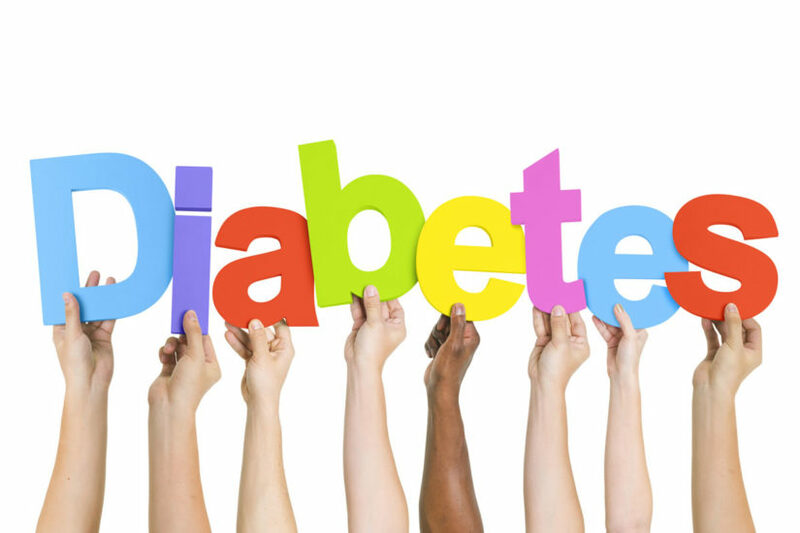 In fact, almost 22 per cent of those with diabetes also suffer from periodontal disease. If you have diabetes, you’re as much as four times more likely to develop periodontal disease than someone without diabetes. If you struggle to control your blood sugar levels, your risk for gum disease will increase. The association between gum disease and diabetes may also go both ways. Some research has suggested that gum disease may impact one’s ability to maintain stable blood glucose levels. Gum disease is caused by bacteria infecting the gum line. These bacteria will inflame the gums and may damage both the gum tissue and bone in your mouth. Left untreated, gum disease can cause bad breath, pain, bleeding of the gums, difficulty chewing, and tooth loss. As mentioned previously, diabetes can also slow healing, which might make it more difficult to treat gum disease properly. However, it’s important to work closely with your dentist if you have signs of gum disease. The sooner you address the problem, the better your chances of avoiding serious complications like tooth loss and bone loss. Does Diabetes Prevent You From Getting Dental Implants or Bridges? Dental implants and bridges are a common solution for patients who have lost teeth. Due to the link between diabetes and gum disease, you may have a higher chance of needing a dental implant or bridge if you suffer from diabetes. Unfortunately, the same issues that tend to cause gum disease in diabetic patients can also make it more difficult for these individuals to get implants and bridges. This does not mean you cannot get this treatment if you have diabetes, only that you will need to work more closely with your dentist to explore and understand your options. Before you can get a dental implant or bridge, you must have healthy gums. If advanced gum disease led to the tooth loss, you must get the gum disease under control before you can explore options for tooth replacement. If your gums are sufficiently healthy, the next step is getting your blood sugar under control. Your dentist will look for stable blood glucose levels when determining whether you’re a candidate for this type of dental surgery. If you do get a dental implant or bridge, you will likely have a higher risk for complications such as infection. Those with diabetes also tend to experience a longer healing time. Stay in close communication with your dentist post-surgery to make sure you’re recovering properly, and be vigilant about your blood sugar levels to help prevent these types of complications. How Can Patients With Diabetes Protect Their Dental Health? If you have diabetes, let your dentist know. If you’re dealing with gum disease or other dental problems, you should also inform your physician. This will enable your key health care providers to work together to help you manage your condition and maintain good dental health. Controlling your blood sugar levels is one of the most important things you can do to support your dental health with diabetes. Patients with diabetes should also be particularly vigilant about seeing the dentist often. Schedule an appointment for a routine cleaning at least once every six months. This will alert you to early signs of gum disease, cavities, and other problems, so you can get prompt treatment. Though you may experience more complications with your oral health when you have diabetes, you shouldn’t get discouraged. With proper care and blood sugar control, you can actively work to protect your teeth.